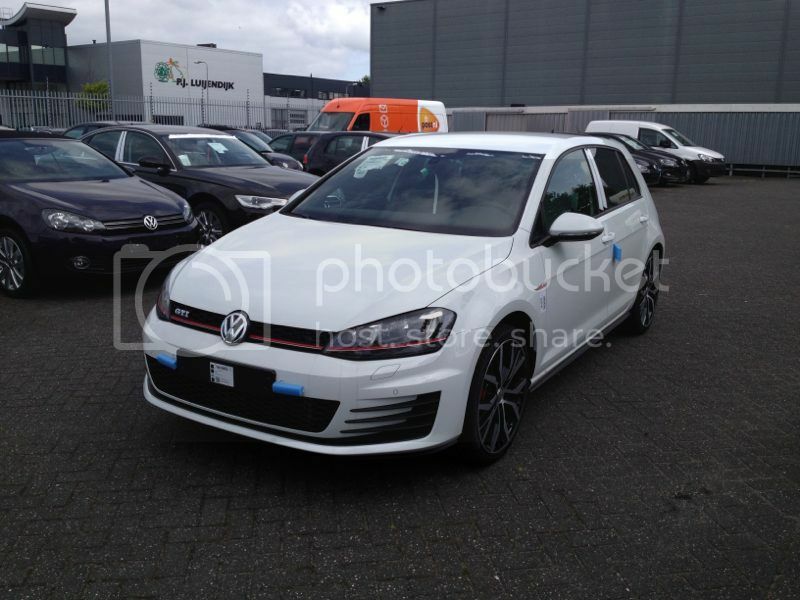 Mine GTi has arrived by our dealer!!! Need to say (thanks Bill_the_Bear) that this is a Dutch GTi, one of the first in the Netherlands, very happy with it!!! 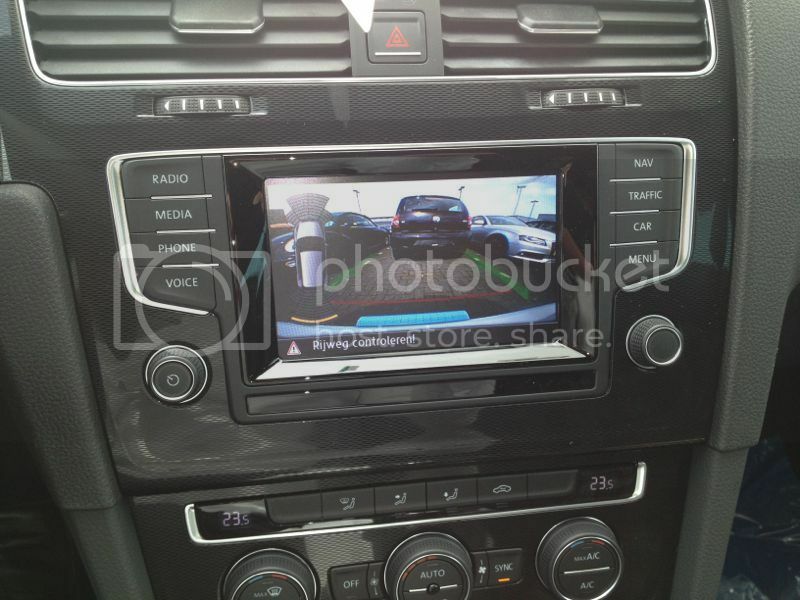 Very nice, 5 door in white with a reverse camera...just they mixed up the wheels at the factory! Yes! Wait a minute... No! Err... are we dropping the no spam part of this thread then? If people are going to post pics of their cars on arrival in this thread (could do) as opposed to a new sticky thread specifically for that (probably better) then either we need to restrain the temptation to comment, or we need to drop the no spam tag. Well that's how I see it. Who decides on these matters? Jimble? 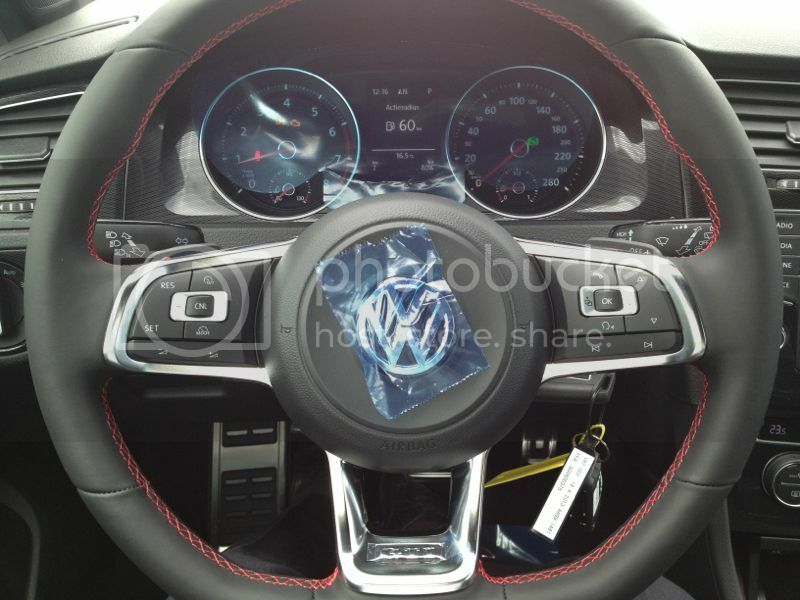 Feel free to post your pics of YOUR new GTI in here. Stunning. Mine can't be far behind it, it was built same week (wk 20) and is waiting for a boat! Looks the nuts! Stupid question but do the wheel nut caps get added during the PDI? 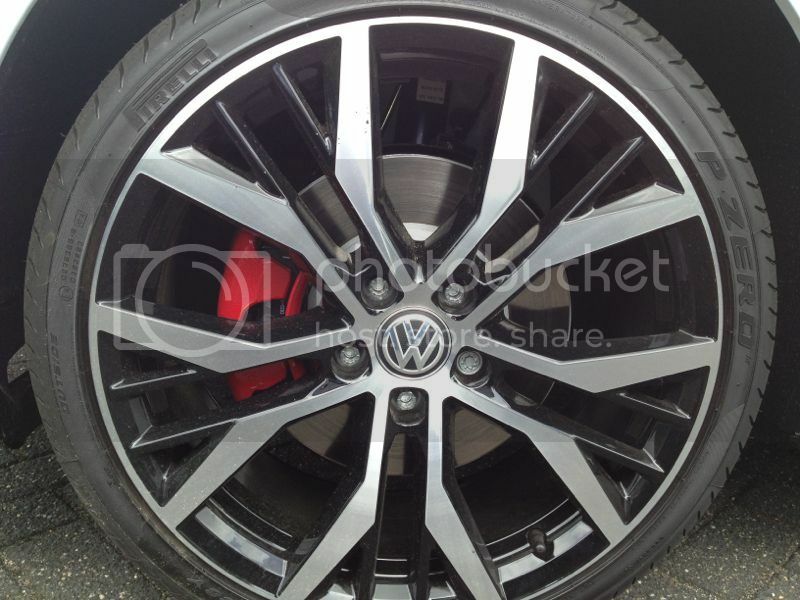 MK7 GTI - Deep Pearl Black - Standard Spec - Ordered 10/12/2015. 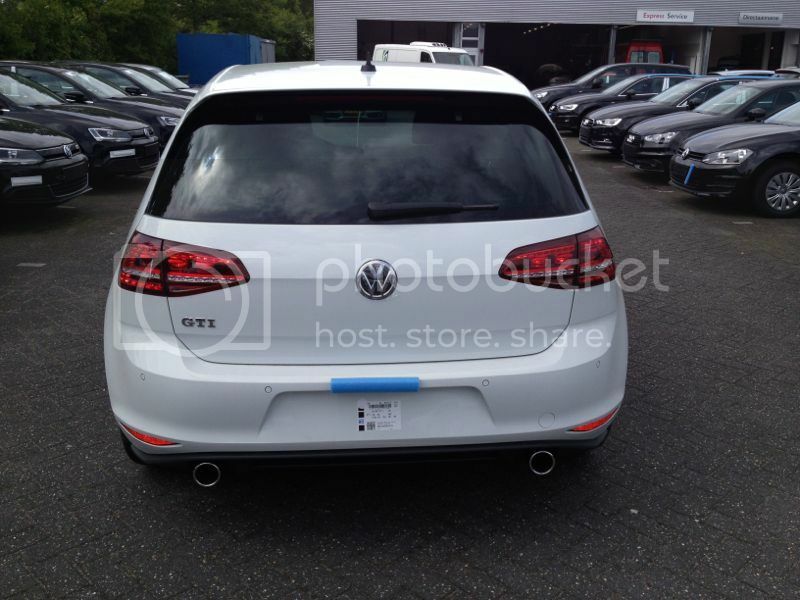 MK7 GTI - White - Standard Spec - Service Pack - Collected 11/09/2013. Looks the nuts! Stupid question but so the wheel nut caps get added during the PDI? Yeah they'd be in the boot. Surely we should of had a review by now!?!?!? They're all too busy having fun! !